What did you get up to over the weekend? Not much? Well, while we all sat around, Koenigsegg – yep, those creators of crazy Swedish hypercars – was setting a new top speed record for road-legal production cars in the Nevada desert. 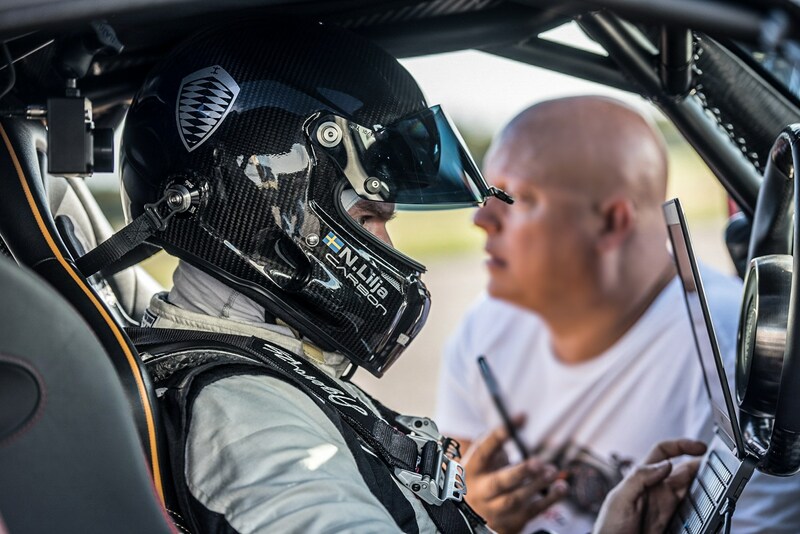 Using a Koenigsegg Agera RS, the Scandinavian manufacturer’s test driver, Niklas Lilja accelerated himself (and his titanium crown jewels) to an average speed over two runs of 277.9mph. That’s over 10mph faster than the previous record holder, the Bugatti Veyron 16.4 Super Sport (and around 35mph faster than the iconic McLaren F1). Amazingly, for the two-way record run, the Koenigsegg Agera RS was running on the same specification of Michelin Pilot Sport Cup 2 tyre fitted to all the customer cars so, if you fancy getting the Nevada Highway Patrol to shut down Route 160, you too can try and take your Koenigsegg to the nearly 300mph. Unfortunately, Koenigsegg haven’t yet released any official pictures from the record-setting runs; we’d imagine they’re currently too busy enjoying a well-earned pint or two of starköl (that’s Swedish for ‘beer’). Thanks to Racelogic though (who were provided the onboard telemetry for the speed record) you can watch this mind-boggling video instead. It all looks pretty serene, until you realise that Lilja isn’t using full throttle before the Agera RS reaches 190mph! It’s the very definition of Flat-Out.